Mercedes Benz E240 Luxury. P.O.A. 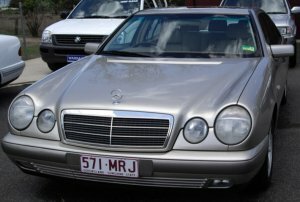 6 Cyclinder Auto - Fully Optioned in Gold Duco - Prestige Motoring - Full RWC & Safety Certified - This E240 is at Written Down Value & comes with a 3 Year Warranty. Trade into Luxury - Test Drive Today. Call David on 0408729912.